Aerial photos of Nottingham, many of which appear in my book 'Nottingham From The Air'. Nottingham aerial photography. All images are FREE to view and are available to purchase as prints or digital downloads. If you cannot find the Nottingham image you require please ask as I have hundreds more on file. 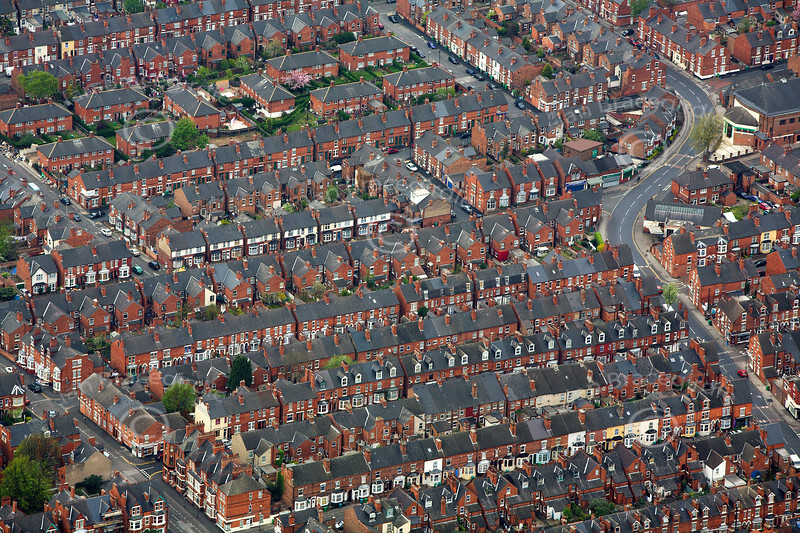 Terrace Houses in Nottingham from the air. Aerial photo of terrace housing in Nottingham If this is the photo you would like to purchase, click the BUY ME button for prices and sizes of prints and digital downloads.